Dodeka music notation is an alternative music notation that writes musical notes in a more intuitive, easier to learn and less confusing way. 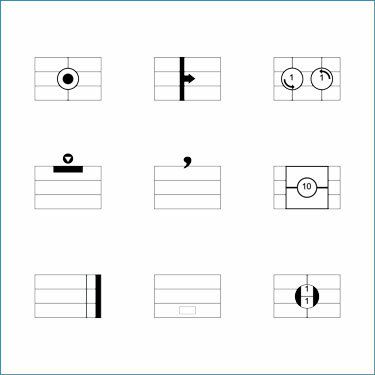 The notation is clear, visual and easy to understand, as well as works with EVERY musical instrument. Revamping music notation in a more intuitive, easier to learn and less confusing way. 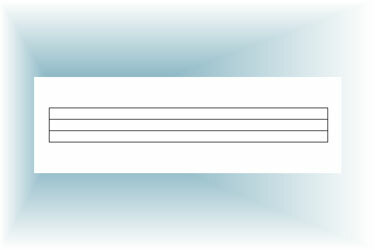 In Dodeka Music Notation, the staff has now four lines and notes are placed following four positions: on, above, below and between the lines. Music is now written using 12 notes, that is the chromatic scale. This way flat and sharp alterations disappear from the sheet music. Rhythm is made more intuitive by using visual representation of the notes. The duration of notes and is expressed by its graphical length. Do you also find the current or conventional music notation to be complex, confusing and unsuitable and wondered why we keep up with this music notation? So why shouldn't we do like Rousseau and create an alternative music notation that is easier to learn, less confusing and more intuitive. That's what we've done at Dodeka. We created a new music notation system that is intended to communicate music and its core elements, mainly pitch and rhythm, in the most intuitive and visual way possible. And most importantly, we created a notation that works for every instruments. Keep on reading to see the result and discover our new music notation. 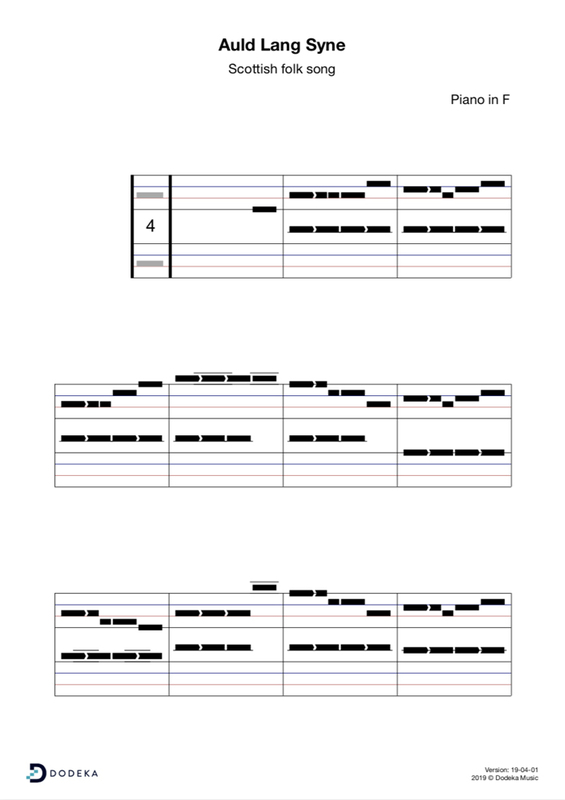 The way pitch is written in Dodeka alternative music notation is quite different from conventional music notation. For one thing, musical notes are now written on a staff of only four lines (instead of five in conventional notation). Also in Dodeka notation, we use twelve notes, instead of seven, or what is often called as the chromatic scale by opposition to the diatonic scale. There is no longer any flat or sharp symbols in this notation. In addition, the notes are themselves represented through small black rectangles. These rectangles either appear on, above, below, or between the four lines of the structure. 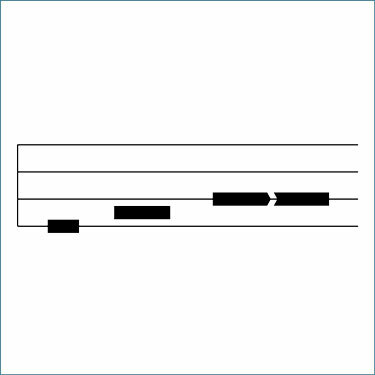 This way, we identify musical pitch, - the degree of highness or lowness of a sound - based on where the notes are placed on this four-line structure. 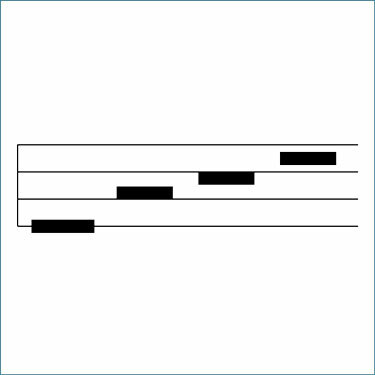 By placing all twelve notes within four lines, all notes keep their position on the staff regardless of the octave. Rhythmic notation is also different. 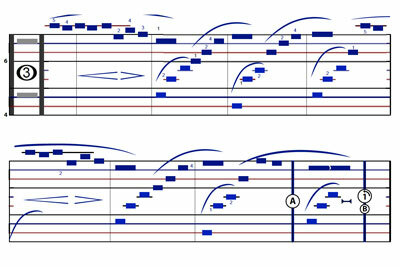 While conventional music notation writes rhythm through numerous indicators or symbols, among them dots, beams, stems and flags, Dodeka suggests a more intuitive and visual representation. 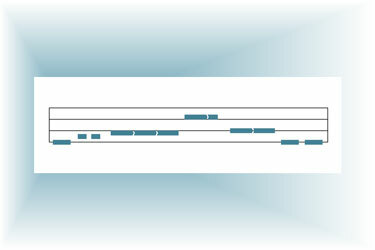 Similar to a sequencer, Dodeka tells note duration through the shape of the note, precisely the note’s graphical length. This way, it is easy to understand that a note that is graphically twice as small lasts twice as less, or that a note twice as bigger should be held twice as longer and so on. 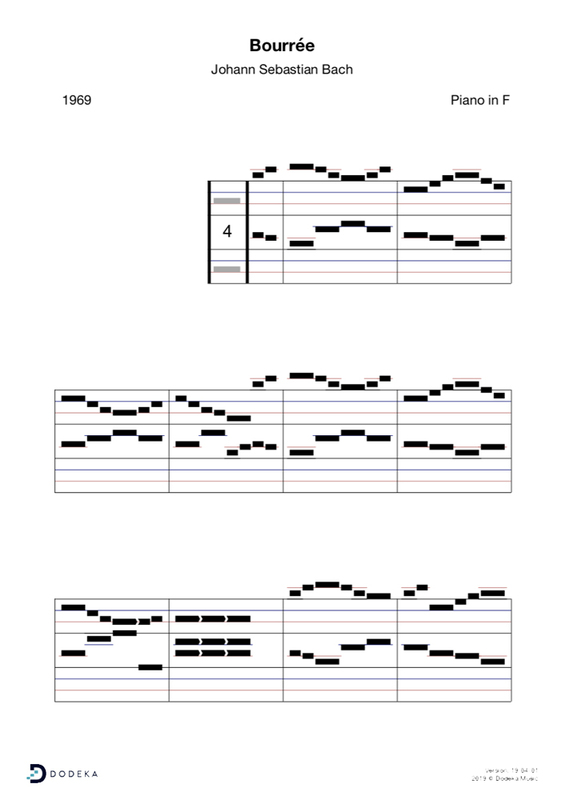 There’s not only differences between Dodeka alternative notation and conventional music theory. There’s also commonalities. 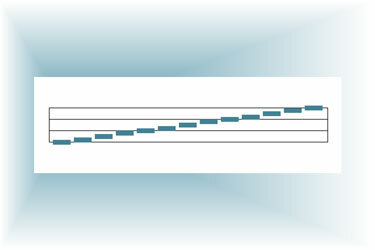 For example, measures are in both notations indicated with vertical lines. Reading sheet music is not only about recognising pitch and rhythm. There are many other symbols, so-called musical symbols, that have to be taken into consideration when sight-reading musical pieces. It therefore important for music students and beginners to learn the meaning of these musical symbols to properly convey the nuances and musical ideas the composer imagined for his/her composition. Discover Dodeka's alternative musical symbols and learn how to play all bits and pieces of any musical pieces. The full lists of musical symbols and meaning is available here. A few songs to get started and see how Dodeka sheet music look like.